The year 2017 was dominated by proposed cross-sector health care uber-mergers—most notably the CVS-Aetna deal. While this was going on, the UnitedHealthcare Group (UnitedHealthcare) flew under the radar and grew internally. America’s largest health insurer continued to grow its multipurpose Optum unit, which manages pharmacy benefits, provides health services, and conducts data analytics. It now has nearly 300 doctors' clinics—in addition to its 30,000 physician networks. Not surprisingly, UnitedHealthcare’s 2017 revenues spiked 9 percent (compared to 2016) to reach $201 billion. It also moved up the Fortune 500 list to fifth place (from its previously held sixth place). This is good news for telecommuters (from sales reps to registered nurses) wishing to join the Minnetonka, Minnesota-based managed care company, which boasts 285,000 employees. While many UnitedHealthcare jobs that allow telecommuting are tied to a specific job location (such as a visiting RN), many, such as data entry specialists, are not. Still others—such as medical underwriters—may not be tied to a specific location, but may require licensing in a ​particular state or states. The best approach is to search by your expertise or area of interest and then see what remote positions are available. Here's a sampling of jobs. Clinical Appeals, RN: This is a telecommuter position, but it does require local travel to office locations throughout the Boston area. As a registered nurse, your primary responsibilities will be attending appeals hearings on a case-by-case basis and then determining the medical appropriateness for UnitedHealthcare members. You'll need to be someone who is detail-oriented and enjoys research because you'll also be responsible for performing prior authorization reviews based on state-specific recognized clinical guidelines in order to make benefit determinations. Of course, you'll need to be computer savvy as you navigate relevant internal and external computer systems on a daily basis. UnitedHealthcare's job description also says you should also be an active, unrestricted licensed RN in the state of Massachusetts with a minimum of five years of experience in clinical nursing, preferably with utilization management and Medicaid experience. Manager, Clinical Appeals: This is a 100 percent telecommuting position from anywhere within the U.S. and comes with a lot of managerial responsibility. You'll need to work closely with two supervisors as you plan, organize, and evaluate the day-to-day operation of the staff—which is responsible for processing all third-party insurance denials and appeals. If you like interfacing with people and have an analytical mind, this just might be the ideal job for you. That's because, as manager, you'll act as a liaison to third-party reviewers and payers while implementing strategic changes based on your analysis of patterns and trends. In other words, this job isn't for everyone. But, if you have a bachelor’s degree in nursing (or equivalent experience) and a current, unrestricted RN license—plus five years of leadership experience with a health plan, hospital, or revenue cycle company—this remote position might fit your background and personality. Of course, given the research you'll be doing, you must also possess an in-depth knowledge of the appeals and denial processes and be proficient in Excel and PowerPoint. Provider Relations Advocate: The person hired for this position will be the primary contact point (and face) to all UnitedHealthcare providers and, as such, plays a significant role in creating and maintaining trust between providers and their patients. To take on this role, you'll need to have an engaging personality as you design and implement strategies to build positive relationships between the health plan, providers (physicians), and practice managers. You'll also need to be a multi-tasker as you direct and implement strategies relating to the development and management of a provider network. This includes being able to identify gaps in network services, prioritizing contracting needs, and identifying—and remediating—operational shortfalls. In other words, you need to be a right-brain and left-brain person rolled into one. If you have an undergraduate degree or equivalent, two years of experience working with physicians, hospitals, or health systems, plus two years of experience with claims and issue resolution—and you like creating and delivering presentations—you'll meet UnitedHealthcare's basic requirements. Pros: Remote workers say that they like being in control, they enjoy the flexibility of scheduling their work around their lives, and working at home saves them time and money commuting to an office. They also don't have to put up with the constant distractions of people stopping by your cubicle or knocking on your door. Employees also say that working at home allows them to concentrate more fully on their work. Cons: The biggest complaint among telecommuters (especially for outgoing people) is that they suffer from loneliness and isolation. 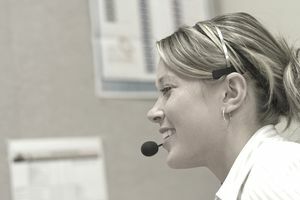 Workers also tend to feel disconnected from the rest of the team. Another negative is that remote workers say they don't have colleagues to share problems with or brainstorm with. According to a 2017 FlexJobs and Global Workplace Analytics report, between 2007 and 2017, the number of U.S. telecommuters increased a stunning 115 percent. 3.9 million U.S. employees, or nearly 3 percent of all U.S. workers, work from home at least 50 percent of the time. The average telecommuter is middle-aged (46 years of age or older), is educated with at least a bachelor’s degree, and earns more (comparatively) than an in-office worker. Gender-wise, the number of women and men that telecommute is equal. U.S. businesses save some $2,000 a year per person because of work-from-home programs. U.S. businesses with work-from-home programs reduce their employee turnover by 50 percent. Seventy-three percent of remote workers say they're satisfied with the company they work for. Fifty-six percent of remote workers think their managers are concerned about their well-being. Eighty-two percent of telecommuters say they have a lower stress level, 80 percent experience improved morale, 70 percent say they're more productive, and 69 percent miss fewer days from work. Remote workers also say they enjoy a healthier lifestyle, with 45 percent enjoying more sleep, 42 percent saying they eat healthier, and 35 percent saying they exercise more. Most importantly, half of all telecommuters are less likely to quit their jobs than on-site workers. Go to the UnitedHealth Group website. Enter "Telecommute" in the search box for a keyword, job title, or job number, or you can look down the left side for the Telecommute Position options where you can select "Yes" to see only the telecommuter- or telecommute-considered positions. You can also search by location, job field, job level, posting date, business unit, scheduled (meaning full-time or part-time), shift, and travel. Once you can begin the application process online, it will take you at least 30 to 45 minutes to complete the application, and you must upload a current copy of your resume tailored to the position for which you are applying. Next, you'll need to answer qualifying questions and possibly take an assessment test. Finally, UnitedHealth performs an application review, and if you're qualified, you'll be contacted for an interview. UnitedHealth conducts its interviews either in person, on the telephone, or via video. You can also visit any one of the popular online job sites such as simplyhired.com and indeed.com and input the keywords and location for your search. While conducting your telecommuting job search, you may also want to look into the directory of work-at-home companies.